It is almost impossible to avoid. Walk into the library on any given day and whispers of “printers” will be circulating. This semester, SNU has adopted a new campus printing system, further modified from the changes made last fall. Students are now given a $25 per semester budget for printing and copying, a shift from the 500 page limit of past years. However, as Joshua Achipa, reference librarian, said, this monetary unit covers both black and white as well as color printing, faxing and copying. The two print kiosks in the library are capable of all of these services. The new process aims to simplify and increase effectiveness. 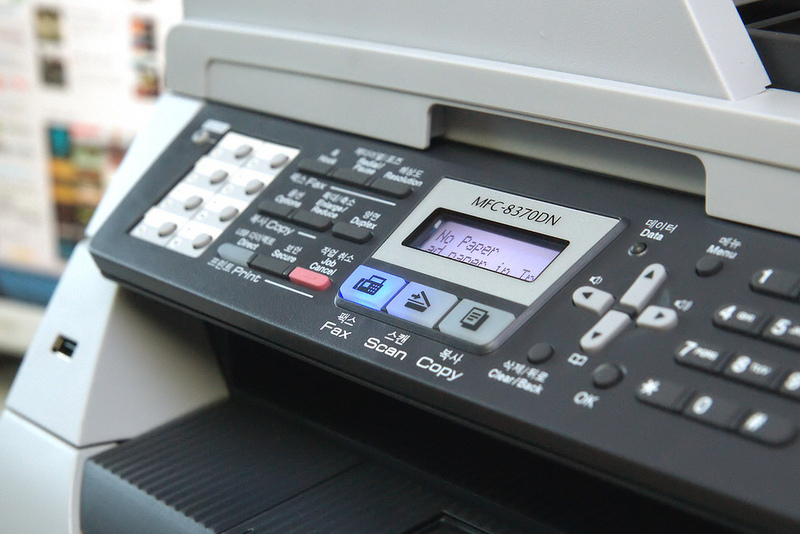 While currently a long list of printers are available for selection, eventually the “Follow-Me Printing” will be the only option for students. When IT completes the system adjustments, students will merely select the “Follow-Me Printing” option for either PC or Mac, choose between black and white or color and upload their document to what Scott Strawn, SNU’s VP of business and finance, referred to as “the cloud.” Finally, students go to any campus printer, swipe their ID and receive their documents. This system allows for greater printing mobility and also decreases the risk of paper waste or loss. Strawn said that the school has been in the midst of a general shift in their IT systems and felt the new printing process to be an overall better alternative to the previous system. Before, Strawn explained, there was quite a bit of variation in cost, technology and usage from department to department. With the change, a more uniform process is in place. “We are very sensitive to cost right now,” the administrator stated, and this procedure shift is set to save money. Strawn also noted that digital work and imaging is made easier with the cloud concept and updated printers. Achipa, too, sees the benefits of the system, explaining that previously, the library filled about one box of wasted paper per day. With the change, though, the amount is much less. Plus, the shift in printing keeps the machines exclusively for SNU students’ use. Before, Achipa notes, community members would come to the library and print personal documents. Sometimes, though, they would leave them laying around, placing personal information at risk. Achipa said he has even found individual’s SSNs printed on forgotten paper. Now, only members of the SNU community will utilize the printers, and documents will not be printed until a student or faculty is physically present to pick them up. Student reactions are mixed. Senior nursing major Katey Osbourne appreciates the new process, saying, “I love it; they should have done this a long time ago. I like the monetary system better and the ability to print in color.” However, others disagree. The process requires students printing from laptops to upload documents to WebPrint, a logistical step that some find irksome. Kristin Hodges, a senior history education major, said the adopted method is “confusing” and “too much to go through.” When asked about the environmental good, she agreed that it was a benefit but wished the school would have been more explicit in their explanation of changes. “We didn’t do a great job on communicating initially,” Strawn said in regards to the adjustment. Since then, SNU has sent out an email noting this semester’s printing alterations. Additionally, the library staff is very willing to help students with the new system. Whether for or against, change is certain to bring about comradery. A quick glance in the library will find students helping each other through the new process, explaining and working their way through the adjustments. While transition can be challenging, with time and practice the new system looks to be more effective and environmentally friendly. Next PostHave you heard of OSLEP?